Its a great bike! Very happy owning it. Bike is performing good overall, not comfy for long tour as seat is narrower. Power is awesome, little noise on shifting first gear first time start. Pillion comfort in long distance travel is not satisfied. Got it a couple months back. I'm a HD guy and this is my first RE... Honestly, not bad for for a RE entering into the premium segment of class. 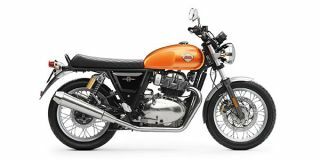 Key Question: An affordable multi-cylinder motorcycle, and it's a Royal Enfield. Dream come true? Or too good to be true? Is RE’s new twin all about retro charm, or does it have the go to match its show?